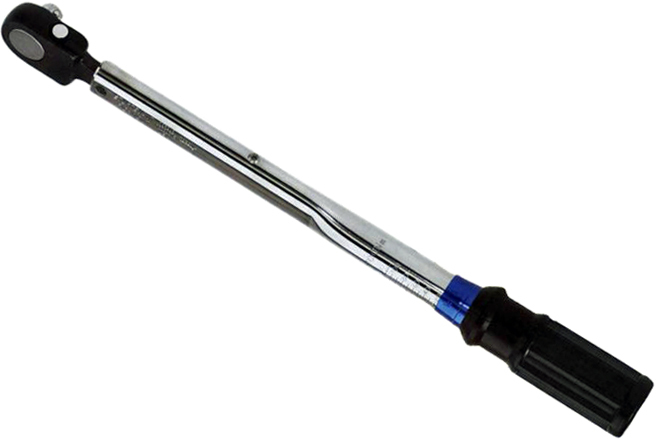 The 810798 Sturtevant Richmont 28-140 Nm Torque Wrench, Micrometer Adjustable 1/2'' Square Drive is one of thousands of quality tooling products available from MRO Tools. Please browse Sturtevant Richmont Torque Wrenches Discontinued for tools similar to the 810798 Sturtevant Richmont 28-140 Nm Torque Wrench, Micrometer Adjustable 1/2'' Square Drive. 810798 Sturtevant Richmont 28-140 Nm Torque Wrench, Micrometer Adjustable 1/2'' Square Drive description summary: Sturtevant Richmont metric micrometer adjustable fixed ratchet torque wrench. Model: 4 SDR 140 Nm Torque Capacity: 28-140 Nm Steps Of Graduations: 1 Nm Square Drive: 1/2'' Overall Length: 17.9'' Quantity discounts may be available for the 810798 Sturtevant Richmont 28-140 Nm Torque Wrench, Micrometer Adjustable 1/2'' Square Drive. Please contact MRO Tools for details.